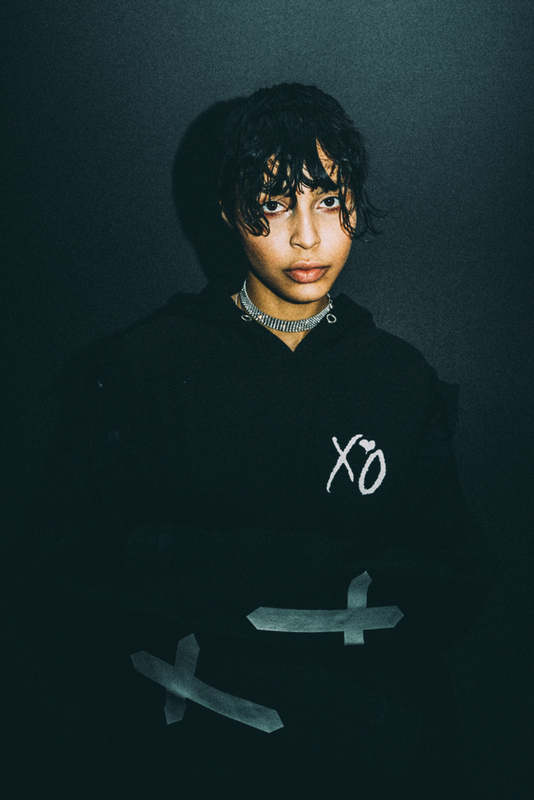 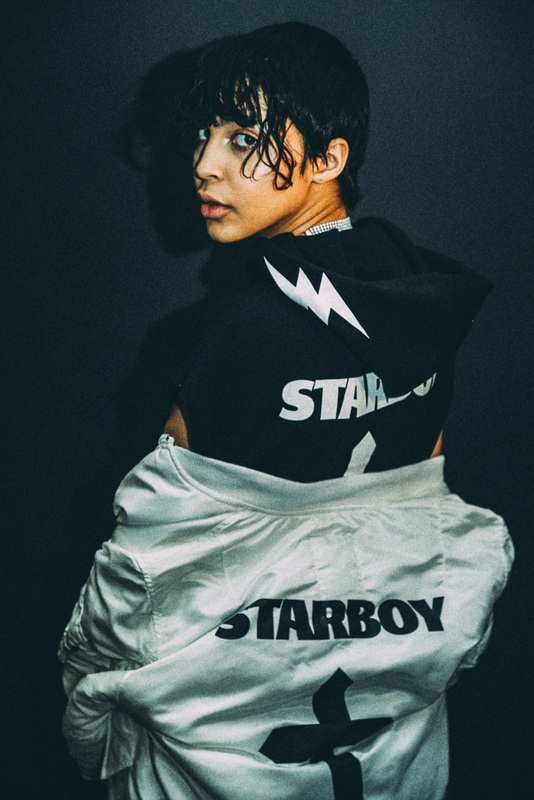 R&B and pop superstar The Weeknd will join the ranks of Daft Punk, Kanye West and others who have immersed their brand in the merchandise game. 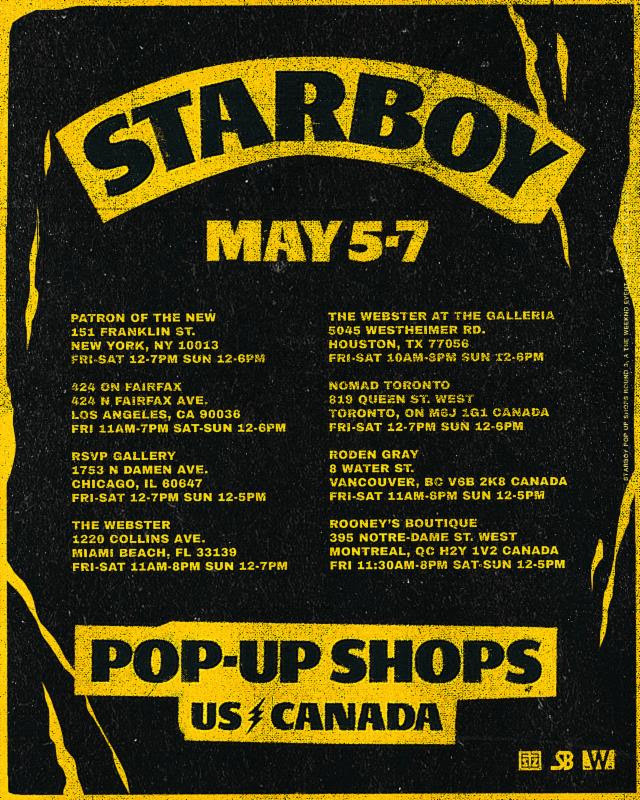 This weekend, May 5th-7th, the Canadian artist will celebrate his 2016 album Starboy with a series of experiential pop up shops in eight cities throughout North America. 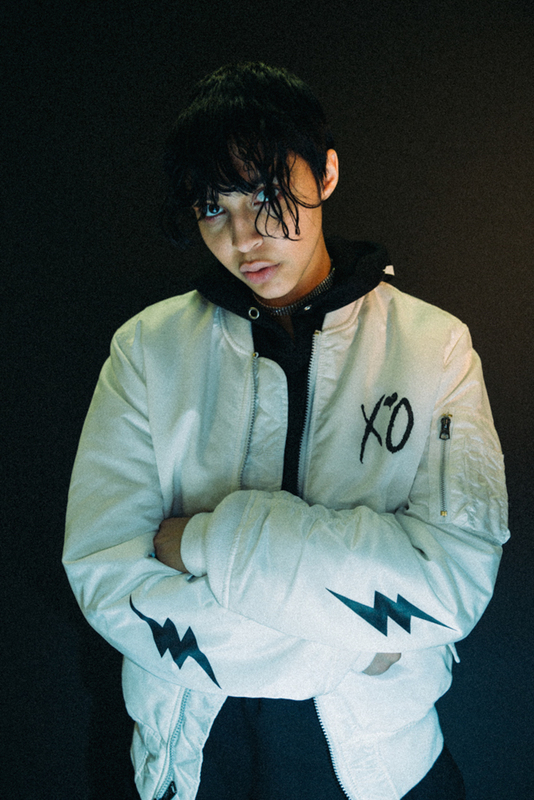 Each shop will showcase as well as sell exclusive limited edition merchandise tailored to each city. 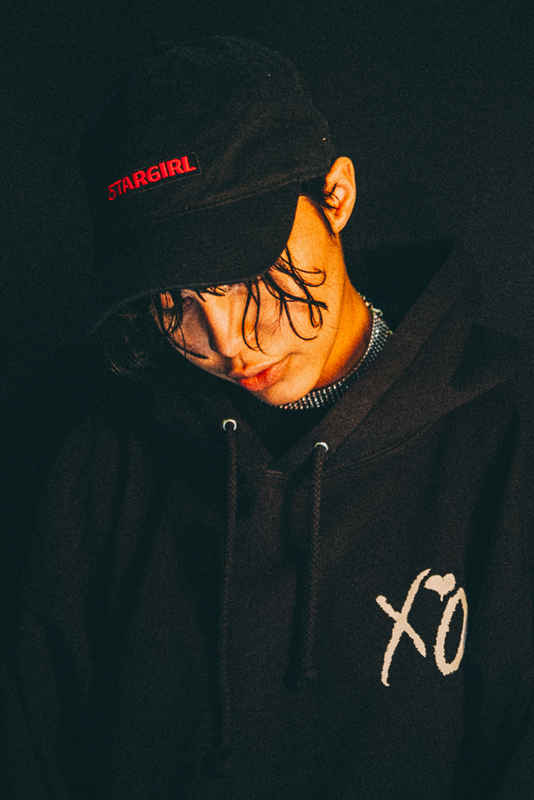 Check out the photos below for a preview of the hats, bombers, tees and denim available at some of the shops. 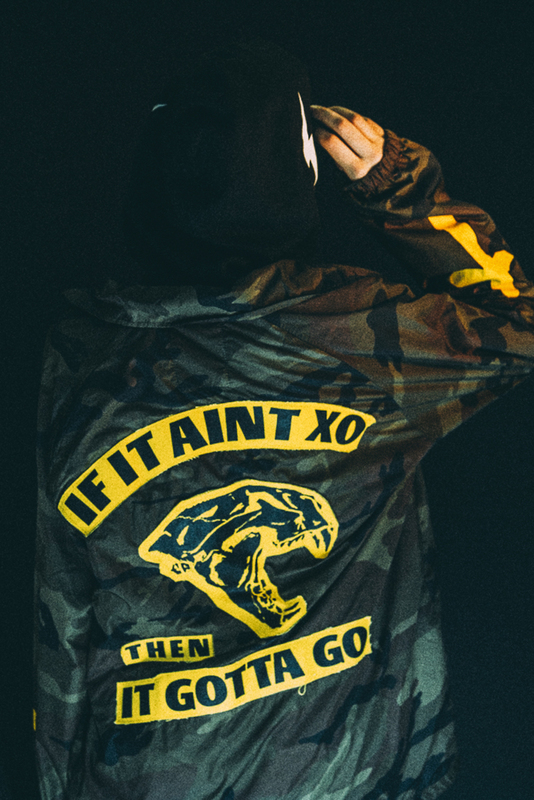 This follows The Weeknd's collaboration with H&M on a clothing line, and is an addition to the Starboy tour merchandise.